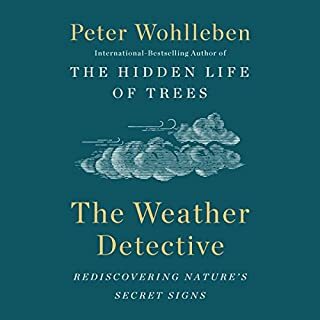 In this first-ever English translation of The Weather Detective, Peter Wohlleben uses his long experience and deep love of nature to help decipher the weather and our local environments in a completely new and compelling way. Analyzing the explanations for everyday questions and mysteries surrounding weather and natural phenomena, he delves into a new and intriguing world of scientific investigation. Very little about the weather. David Haskell's award-winning The Forest Unseen won acclaim for eloquent writing and deep engagement with the natural world. Now, Haskell brings his powers of observation to the biological networks that surround all species, including humans. 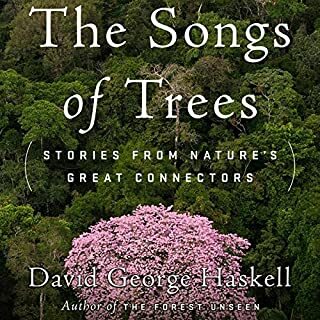 Haskell repeatedly visits a dozen trees around the world, exploring the trees' connections with webs of fungi, bacterial communities, cooperative and destructive animals, and other plants. Noted science writer Virginia Morell explores the frontiers of research on animal cognition and emotion, offering a surprising and moving exploration into the hearts and minds of wild and domesticated animals. Did you know that ants teach, earthworms make decisions, rats love to be tickled, and chimps grieve? Did you know that some dogs have thousand-word vocabularies and that birds practice songs in their sleep? That crows improvise tools, blue jays plan ahead, and moths remember living as caterpillars? Don’t read if you have depressive tendencies. As the climate veers toward catastrophe, the innumerable losses cascading through the biosphere make vividly evident the need for a metamorphosis in our relation to the living land. For too long we've inured ourselves to the wild intelligence of our muscled flesh, taking our primary truths from technologies that hold the living world at a distance. 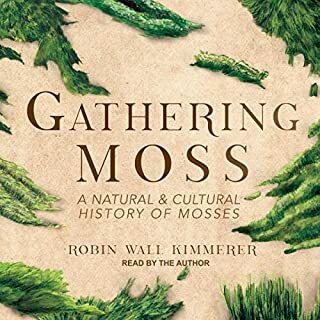 This audiobook subverts that distance, drawing listeners ever deeper into their animal senses in order to explore, from within, the elemental kinship between the body and the breathing Earth. Weaving decades of field observations with exciting new discoveries about the brain, Carl Safina's landmark book offers an intimate view of animal behavior to challenge the fixed boundary between humans and nonhuman animals. Even when the floors are sparkling clean and the house seems silent, our domestic domain is wild beyond imagination. In Never Home Alone, biologist Rob Dunn introduces us to the nearly 200,000 species living with us in our own homes, from the Egyptian meal moths in our cupboards and camel crickets in our basements to the lactobacillus lounging on our kitchen counters. You are not alone. Yet, as we obsess over sterilizing our homes and separating our spaces from nature, we are unwittingly cultivating an entirely new playground for evolution. Bernd Heinrich involves us in his quest to get inside the mind of the raven. But as animals can be spied on only by getting quite close, Heinrich adopts ravens, thereby becoming a "raven father", as well as observing them in their natural habitat. He studies their daily routines and, in the process, paints a vivid picture of the ravens' world. 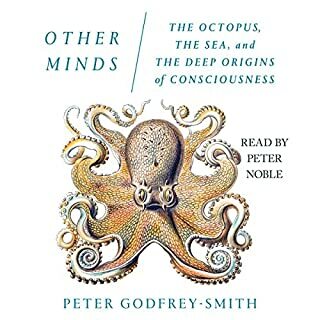 At the heart of this book are Heinrich's love and respect for these complex and engaging creatures, and through his keen observation and analysis we become their intimates, too. Bees are like oxygen: ubiquitous, essential, and, for the most part, unseen. While we might overlook them, they lie at the heart of relationships that bind the human and natural worlds. In Buzz, the beloved Thor Hanson takes us on a journey that begins 125 million years ago, when a wasp first dared to feed pollen to its young. From honeybees and bumbles to lesser-known diggers, miners, leafcutters, and masons, bees have long been central to our harvests, our mythologies, and our very existence. They've given us sweetness and light, the beauty of flowers, and as much as a third of the foodstuffs we eat. And, alarmingly, they are at risk of disappearing. In Eager, environmental journalist Ben Goldfarb reveals that our modern idea of what a healthy landscape looks like and how it functions is wrong, distorted by the fur trade that once trapped out millions of beavers from North America's lakes and rivers. The consequences of losing beavers were profound: streams eroded, wetlands dried up, and species from salmon to swans lost vital habitat. Today, a growing coalition of "Beaver Believers" recognizes that ecosystems with beavers are far healthier, for humans and non-humans alike, than those without them. 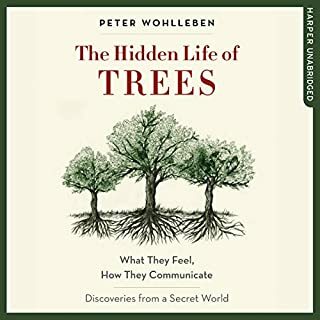 In this, his latest book, Peter Wohlleben follows the hugely successful The Hidden Life of Trees with insightful stories into the emotions, feelings, and intelligence of animals around us. Animals are different from us in ways that amaze us - and they are also much closer to us than we ever would have thought. ©2017 Peter Wohlleben, Ludwig Verlag, Jane Billinghurst, Jeffrey Moussaieff Masson (P)2017 Novel Audio Inc. I don't usually write reviews but.. I really loved this one! Sometimes when I'm making dinner or doing stuff around the house, I turn on Planet Earth in the background just for something to listen to (when I don't have an audiobook I want my kids to overhear). This really reminded me of Planet Earth, without the visuals of course. The narrator was very calming but also kind of jolly?- in a David Attenborough sort of way. Sometimes I kind of zone out on non-fiction books, but the subject was intriguing enough with lots of personal anecdotes that helped to hold my attention. I've added his other book to my wishlist now! I loved the hidden life of trees and was very excited to read Wohlleben's next offering. This book is more a collection of anecdotes from Peter's life in a forest lodge. Its a pleasant book, but the topic is too broad and the evidence he presence is anecdotal. Hidden life of trees is an excellent book, this one you could skip. Thank you! This book was amazing. Listened to it on a car trip. And everyone was grumpy about audio book. But after a rest stop break they asked how much longer we had on the book. They wanted to finish it! Finally an audiobook that was a great experience for my teen son! The narrator is a new favorite!! I was expecting awe and wonder after reading The Hidden Life of Trees. This book is still a beautiful and thoughtful reflection that asks one to open up his/her mind and grow. This one was good; the other was amazing! Thanks for another wonderful book! 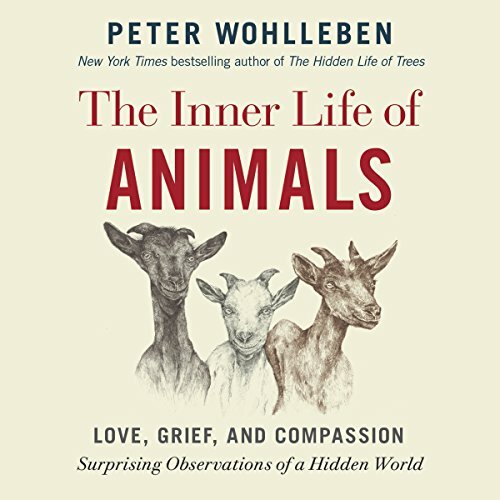 I have learned so much about animals from this audio book. I can listen to the reader all day long. His voice is so soothing, I do listen at night to go to sleep. I leave the audio book on all night long. I actually sleep better with great information and a soothing voice. 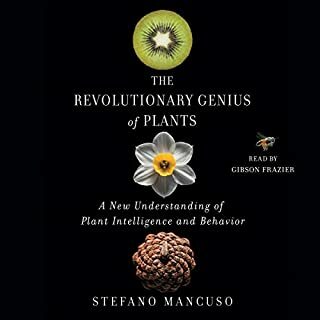 I love the way the author weaves his personal experiences with scientific studies to give us an insider's view of what animals are thinking and feeling. Must read/listen..
Read this book and pass it on. Until everyone has read it. It could change the world. every creature is sentient in it's way. we must still eat. i loved the book. I would be interested in seeing a better reason why hunting isn’t ethical. I didn’t buy his answer and still find many aspects of hunting agreeable. I love this book though! Such an interesting and beautiful world we live in!! people besides animal lovers will listen to this and consider the reality of a diet based on the suffering of animals (factory farms).